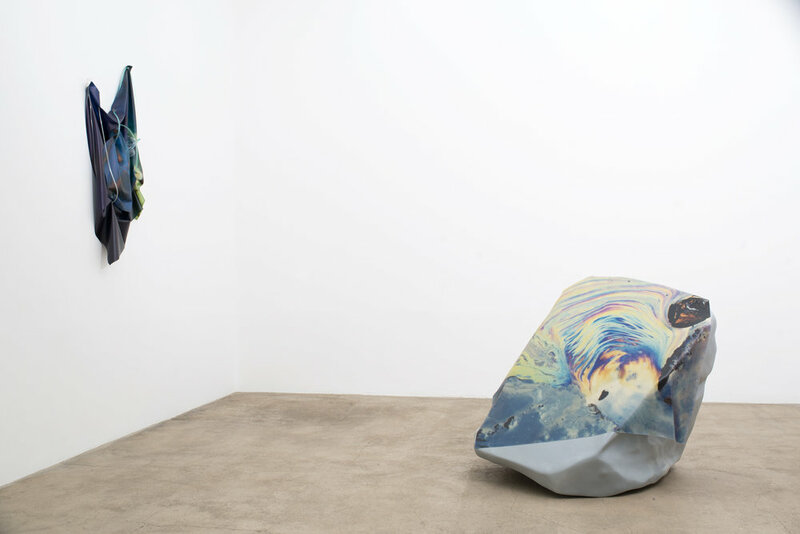 The shortcut one could establish is therefore obvious, although nonetheless striking: in Anouk Kruithof's work, the image is a prosthesis-like image. It is quasi-, hyper-, in any case a not-quite-image, trying to make physically present what is yet to be experienced: this new flesh in which the usual partitions between nature and culture, human and machine, real and fictive, come undone. The prosthesis-like images demonstrate not only a modification of the real, but also of the nature of the images we know as belonging to the real. 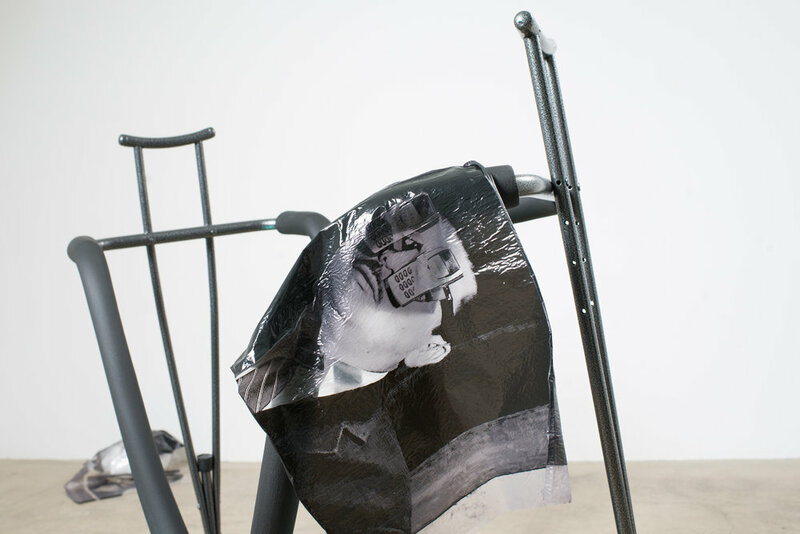 Besides, it would be more accurate to speak of prosthesis-like photographs, as Anouk Kruithof's work explores the contemporary photography field, specifically in its loosest meaning, as a not produced but reproduced image. Precisely, the machine-like quality points the finger at the major split between photography as a duplication of the real and photography as becoming the real itself. If the photograph of a disaster is our only proof that the disaster did happen and therefore exists, the photograph becomes the substitute for a reality we endure without ever experiencing it. As accurately pointed out by François Laruelle, one of the few who linked contemporary photography to metaphysics (2), we are now facing the existence of a “photo-fiction” which turns the traditional conception of photography – for the author, Platonic photography – into a lie. The image and the world, the subject-like-world and the technological device merge together and create a new reality – a reality that is not less real, but just different, alternative. 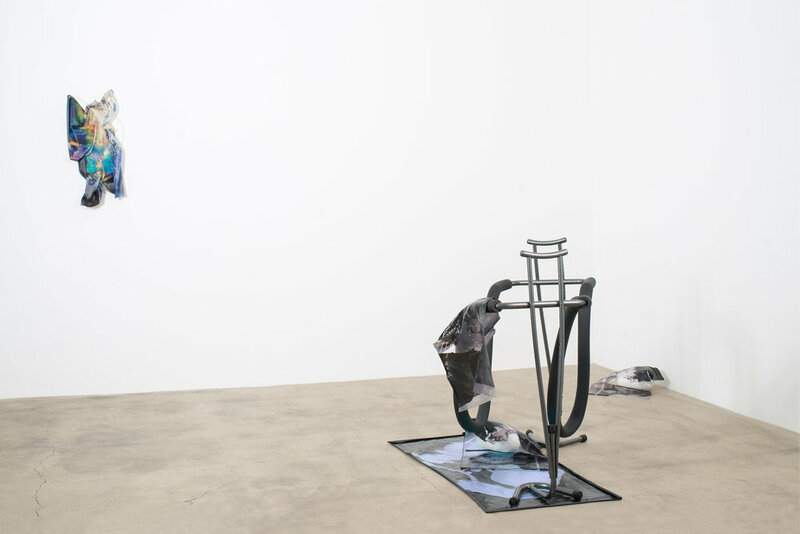 Facing this post-produced ecosystem where the representation of a thing is not what hides it – as the post-moderns wanted to believe – but is the thing itself, Anouk Kruithof's works act as emotional laboratories. At the same time images and materials, their physicality is of this particular ambiguous quality that suspends all attempts at rational understanding: are they too teasing, and therefore toxic? 1. Voir notamment Bruno Latour, Nous n'avons jamais été modernes. Essai d'anthropologie symétrique, Paris : La Découverte, p. 100 : « La prolifération des quasi-objets a fait craquer la temporalité moderne en même temps que sa Constitution. La fuite en avant des modernes s'est arrêtée (...) avec la multiplication d'exceptions dont personne ne pouvait reconnaître la place dans le flux régulier du temps ». What do we see when we're looking at an oil slick darkening the surface of the ocean? The answer is simple: we see nothing. Nothing, or at least, nothing we can match to the usual perception scheme, where the image duplicates a real object. Nothing, because more fundamentally, nothing in our constitution prepares us to grasp a phenomenon such as this one, so deeply conditional of human activity. Synthetic and unforeseen, it disrupts more than the natural equilibrium: it also disrupts the definition previously in effect of what an object is. This oil slick, although we can't have direct physical contact with it or discern it in its entirety, no one questions its existence. Therefore, it is indeed the object, the existing thing, that is not human, nor animal, nor natural, that takes a hit: an object doesn't necessarily relate to a human scale. We can't access it with our senses, because its scale exceeds our comprehension. De facto, many philosophers used that same black and viscous example to substantiate their attacks against the anthropocentrism fortress (1). 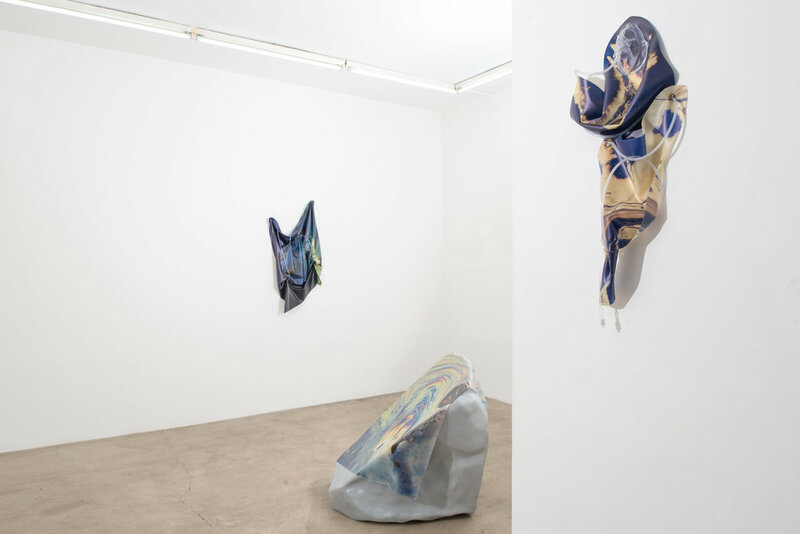 In Graham Harman, Bruno Latour or Timothy Morton's writings, the oil slick belongs to the family of the unclassifiable, named – for lack of a better term – hyperobjects or quasi-objects. Hyper-, quasi-: it's in the prefix that the modern classification system gets its first hit. Yet although we see nothing of the thing itself, we do see something else: we see an image. This visual stimulus we instantly identify as a reality called “oil slick”, we have already seen in the media, through several aerial photographs duly captioned. We thus have learnt to correlate the quasi-abstract black patch to a few key words such as “oil spill” or “chemical pollution”: a correlation that makes us believe in our knowledge, an identification that reassures by withdrawing all unthinkable aspects of the sudden appearance. 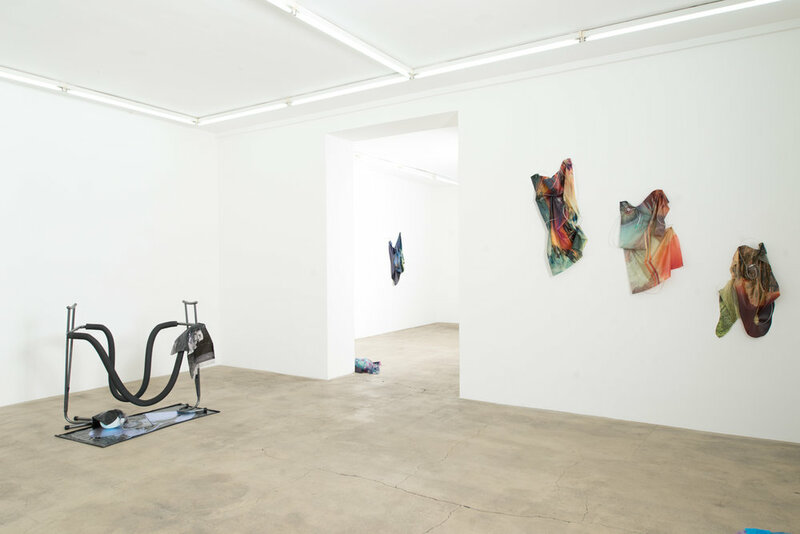 Anouk Kruithof's exhibition Aesthetics of Contamination nestles precisely in this mental interstice, inhabiting the grey area that distinguishes intuition from destruction and slumber from reason. What strikes at first is the presence of a whole range of medical and paramedical tools arraying all sorts of prostheses: an oxygen mask, an anaesthesia mask, a crutch, a walking stick, jellified face masks or breast enhancement pads made from the same material. 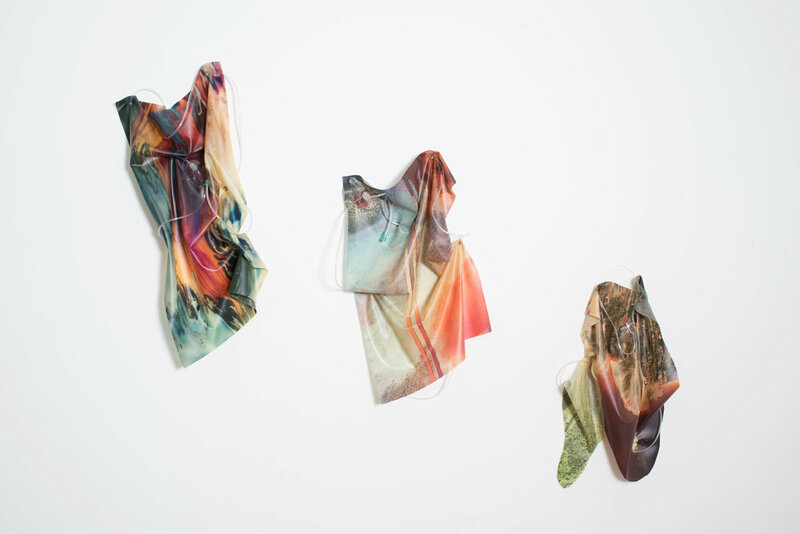 Here, these machine extensions come to enhance, heal and repair body-like sculptures, rocky structures wrapped as if in a cocoon made from a protective layer of silky and colourful synthetic material. in a disturbing recursive loop.